As the West Linn-Wilsonville School District continues to grow, and 10-year enrollment projections show that secondary schools are expected to be significantly over capacity, administration is discussing possibilities to help alleviate the pressure of crowded schools in the future. Solutions include expanding current high schools, relocating current schools to larger district-owned property and building a brand new high school. During the Nov. 28 Long Range Planning Committee (LRPC) meeting — the committee consists of members who provide a framework for evaluating and addressing future school facility needs — WL-WV Superintendent Kathy Ludwig and Director of Operations Tim Woodley discussed potential capital projects if the school board decides to go out for another bond in response to the growing community. West Linn High School has a current enrollment of 1,865 students, which is already 135 students over the building's capacity. Wilsonville High School sits at 1,223 students, with a building capacity of 1,345. In 10 years, both schools are projected to be over capacity by a total of 705 students — 337 at WLHS and 368 at WHS. One of the possibilities Ludwig encouraged the LRPC to consider was enlarging the two high schools. One option to increase building capacity at WHS would be to build a Performing Arts Center outside of the school and transform the current auditorium and black box theater into additional classroom space. WLHS is more landlocked but Ludwig said there is always an option to build an additional level. LRPC members expressed concern with expanding WLHS because the lack of core facilities — like bathrooms and lockers — would not support the increased number of students. "I can build a high rise at West Linn but the core facilities won't support it, parking won't support it, the neighborhood won't support it," said Woodley, adding that at some point the district needs an additional high school. LRPC School Board Liaison Chelsea Martin questioned why expanding WLHS was being discussed as an option. Ludwig said it would be a short-term solution to help combat current student growth at the school. Another possibility that was brought to the LRPC's attention was expanding Arts and Technology High School. In 2022, Art Tech's lease for its current building will expire. The City of Wilsonville owns that building and will be using it for a different purpose, so the school will need to find another site. Ludwig said Art Tech can remain the same size and lease a different site or it can move into an existing district-owned building. It could also increase in size at a new location, while the other high schools remain the same size. "It wouldn't be a comprehensive high school, but maybe around 400 or 500 students. It would still feel small relatively speaking," Ludwig said, adding that it would remain an optional magnet school, but it could offer more Career and Technical Education (CTE) classes and expanded courses. One option with relocating Art Tech would be to move the school to Athey Creek Middle School's current location because the property allows for expansion if needed. It is also still centrally located for West Linn and Wilsonville students. Athey Creek would then be rebuilt on 21 acres of district-owned property near Dollar Street on Willamette Falls Drive. LRPC member Kim Jordan, who lives in the Dollar Street neighborhood, asked how the district would work with the city to manage increased traffic flow if a school was built in that area. "We are very aware of traffic in these kinds of opportunities. We look for ways to improve flow, to improve walkability," said Ludwig, adding that more students could walk and bike to school at the new location. In addition to discussion around facility needs, Ludwig talked to the LRPC about expanding program and course offerings at all high schools. "We don't need to wait for a new facility. Let's start doing this lift across all three high schools today," she said, adding that students and staff want to see increased internships with local businesses, weekend or evening class options and additional CTE pathways at each high school. "Let's really begin to dig into extending these course options." No decisions were made Nov. 28, and there will be two community forums Dec. 4 and 5 where the district will receive community input about the future high school possibilities. "We want to keep putting this idea out there. We want our community to now think about these possibilities," Ludwig said. The school board will then use the feedback in their exploration of a capital bond and potential projects. 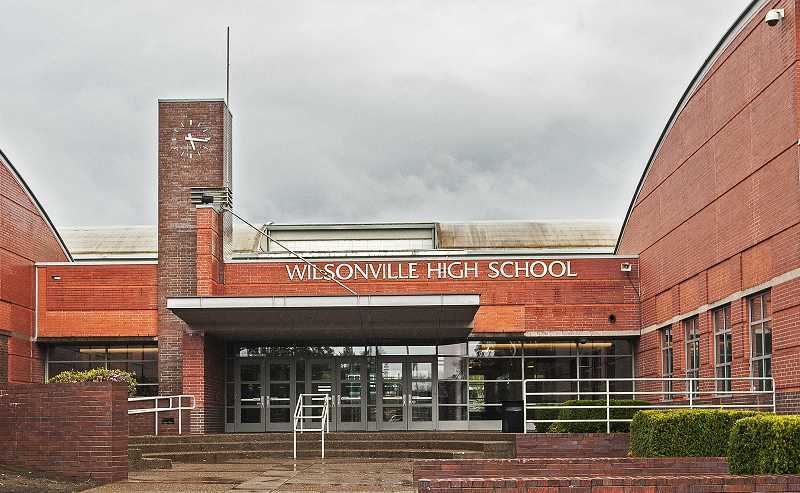 Potential capital projects that need substantial funding also include a new Wilsonville Primary School on the former CREST Farm site in Frog Pond, WLHS stadium expansion, expanded parking at WLHS and smaller district-wide upgrades.